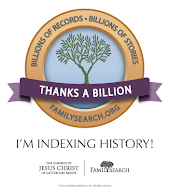 While the rest of the family might roll their eyes at our conversation we could go on for hours about family history. Every summer, when his health permitted, we would go on trips to places to do with our family history. We often drove to Logan County, West Virginia. We stopped at Ft. Branch where he and his siblings were born, following a railroad track to Foley Cemetery, where many of our family were buried, and checked out Blair Mountain, site of the West Virginia Mine Wars. His father (my grandfather), Clyde Herbert Eastham, worked to get the union for miners in West Virginia, and was blacklisted because of his efforts. Aside from cemeteries we would go on trips to places like the Blue Licks battlefield where one of our ancestors fought alongside Daniel Boone, or to Boonesborough where some of them lived. 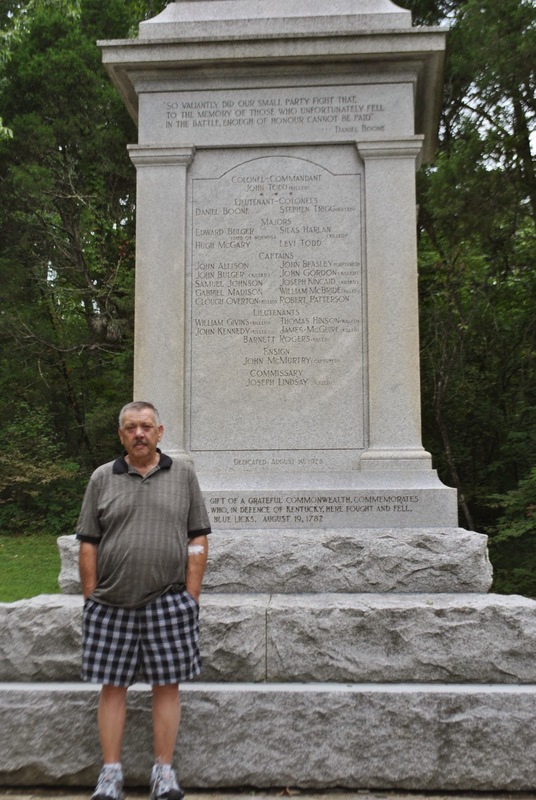 Harold at Blue Licks Battle Monument, Robertson County, Kentucky. Then there were the road trips which usually included my Mom and Uncle Mack, and sometimes Aunts Velma and Millie. We laughed and told stories and ate. You can always tell when a bunch of Easthams travel together - the conversation never veers too far from food. We’d start out in the morning and wouldn't get far before we needed some breakfast to keep us going. Once we ate and got back on the road I'd usually ask some innocent question to get the stories going, like what school they attended at a certain time, or what Granddad grew in the garden. However, before long the subject of the stories would gravitate right back to food: what someone made for dinner some time, or the recipe for that, or who made it better. Then one of them would mention something like, "there’s a cafe down the road that had the best biscuits," or "we stopped there one time with so and so." And then someone else would say, you know that place on route something or other had better biscuits. And we talked about food until someone said "it’s time for lunch." And so it went the entire trip. 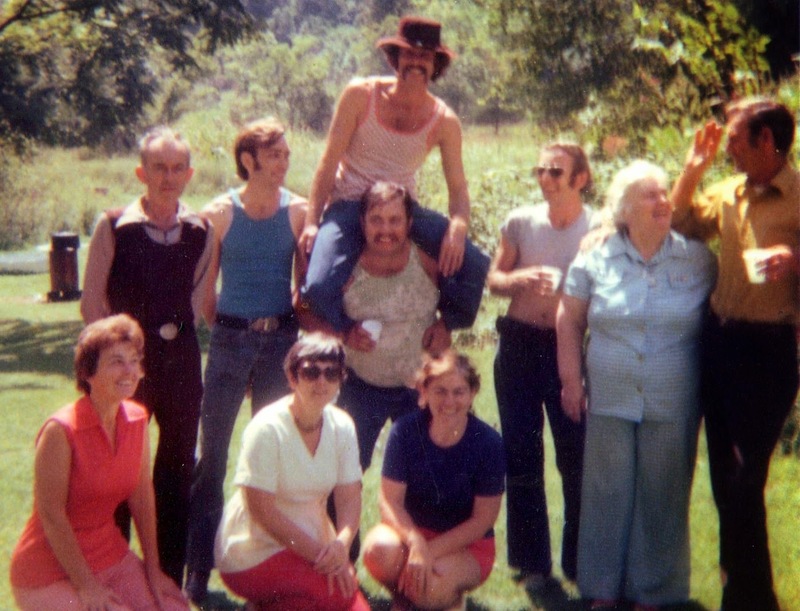 Back: Okey, Jerry, Harold, Malcolm (on shoulders), Clyde Robert, Olive, Edward. Of course, we shared the love of all things old. Harold and Mack were always trying to one up me, and each other, with their treasure. They often called me in Oregon to brag about their latest find and were always talking about the best place to hunt for antiques and "old junk." Flea markets were always part of our trips. Harold was the one with the stories. He and Jerry were still at home when Granddad retired from the coal mines so they had time to listen to his reminiscences about his life and our family. I always ask Harold for some stories when I visited. It was especially good when several of the siblings were together. I wish there had been more time for stories. I know I didn’t hear them all. As a matter of fact, just last week I thought of a topic I wanted to ask him about. Harold and Paula kept are annual family reunions going. We are fortunate that they did that for us. I especially loved the times after the family reunions when we would all get together, first at Harold and Paula’s house, and in later years at Mom’s. It just took one little question to get them going with the stories. I could sit there for hours listening. There were some sad stories of course, but others were quite hilarious. Especially the ones about Nell, and Velma, and Vernie. One year I won a writing contest with a story about their father and I took them each a copy of the publication it was in. My son had recorded the story for them to listen to. (Several were legally blind.) They were so thrilled - they had me autograph their copies! Harold always asked me when I would finish "the book." But there was always one more marriage to prove, another place to visit, another record to find. I wish I had written what I had and given it to him. 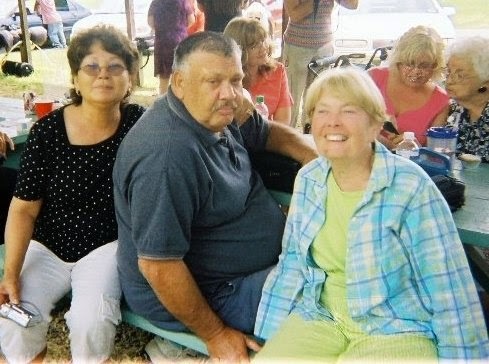 Paula, Harold, and my Mother at an Eastham reunion. I'm so glad that I had those years of reunions and road trips with all of them. I wish there had been more. Just one more. I know there were more places to explore and more stories to hear. I’m going to miss the road trips, the old cemeteries, the auction and sales, but most of all, my Uncle. Goodbye Harold, we love you. Thank you for everything you did for me, and for our family. It won’t be the same without you. 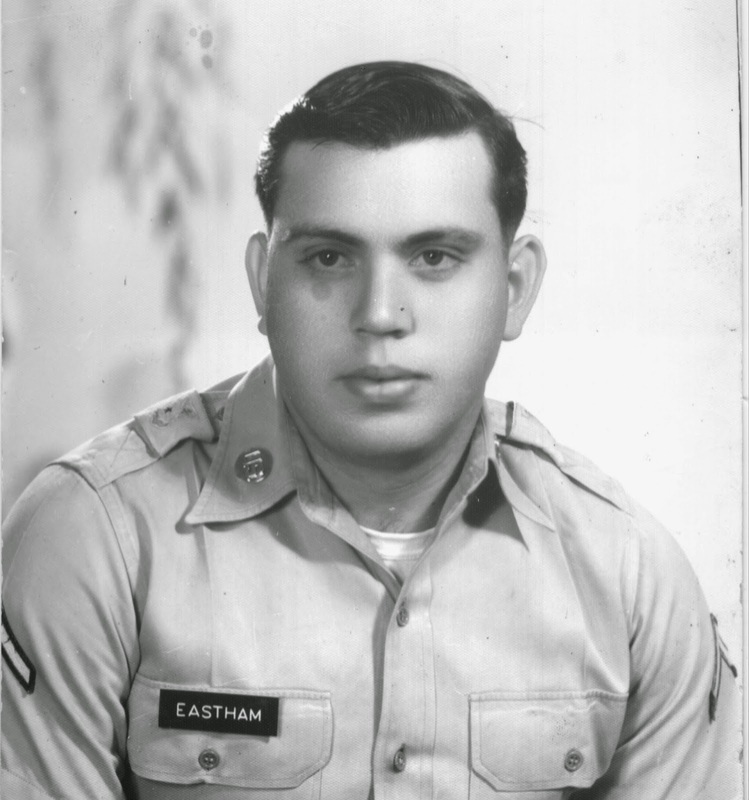 Harold Ray Eastham (3 July 1944 – 20 February 2015) was born in Logan County, West Virginia, to Clyde Eastham and Verna Justice. He was preceded in death by his youngest child, Stewart Eastham, brothers Edward, Okey, and Malcolm and sisters Lucille Barker, Thelma Corley and Olive Garrett. Harold is survived by his wife Paula Pong Eastham, daughter Starilean Wagoner, and son Harold (Angie) Eastham. four grandchildren: Kimberly Garretson, Jesse Holley, Elizabeth Holley, and Reese Barker and five eat grandchildren; Braydon Taylor, Kallee Garretson, Karson Emerick, Olivia Hunt, and Rylyn Cummings. Services were Monday February 23, Koontz Funeral Home, Hamlin, West Virginia. Interment at Miller Cemetery, Sweetland, West Virginia, with Military Graveside Rites by American Legion Post 111, Hamlin.